Every day millions of people travel on trains, buses and coaches to get to work, to see friends and family or to go on holiday. Passenger transport services professionals make a difference by ensuring they are able to travel safely, on time and in comfort from the beginning to the end of their chosen journey. 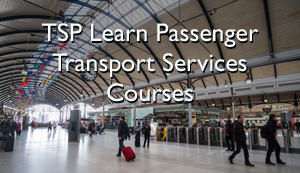 An apprenticeship in passenger transport services or management is a great opportunity to aquire the skills, knowledge and behaviours that play a vital role in providing a high quality, accessible and safe transport service to all customers.